One of the main reasons why Berkshire Hathaway HomeServices California Properties has enjoyed such tremendous success is because of its experienced leadership team. Each member brings to the organization their own passion, excellence and expertise that allow Berkshire Hathaway HomeSerivces California Properties to be the number one brokerage firm in Southern California. As president and Chief Executive Officer, Mary Lee sets the strategy and directs operations for Berkshire Hathaway HomeServices California Properties and its affiliated partners, including HomeServices Lending, Pickford Escrow, The Escrow Firm, California Title, and HomeServices Insurance Agency. Additionally, as a hands on leader, she provides energy and direction to the company’s 60 sales offices, managers and 3,000 sales agents. Mary Lee began her career with Edina Realty Inc. in 1993 as a REALTOR® in Minneapolis. A natural leader, she entered into managing various offices within Edina Realty. In 1999, she was promoted to Vice President of Edina Realty Relocation. In 2004, she was named President of HomeServices Relocation. Under her leadership, the organization grew from a startup company to a global relocation provider with operation centers in Winston-Salem, N.C.; Philadelphia; and the Minneapolis headquarters. In 2006, Mary Lee was recognized by the Minneapolis Business Journal as a top 25 women to watch. She has a contagious enthusiasm for people and a passion for the real estate industry. Her strong customer focus, ability to work cross-functionally within each organization, and a drive to succeed are well-known within the industry. Thanks to her exceptional background of leadership and management, Berkshire Hathaway HomeServices California Properties is well-positioned for continued growth and success. Brent previously managed three of our highly collaborative San Diego offices with skill and passion. As Vice President of Business Initiatives, he is well-qualified to propel the company to even greater prominence in our competitive industry. He received his California real estate license in 1996, began working at our brokerage in 2004, and was always a top-producing agent. The many agents he supported, trained, and coached to success are testaments to his dedication to our profession. Dean Stalter has over 30 years of experience in the real estate industry and carries the broker of record title for 61 offices from Chula Vista to Santa Barbara. As the broker of record Mr. Stalter is responsible for monitoring each Berkshire Hathaway HomeServices California Properties agent and making sure their practices and transactions meet industry standards. In addition, he sets company objectives and policies as they relate to broker conduct. As Chief Financial Officer for Berkshire Hathaway HomeServices California Properties, Greg Schulte uses his vast real estate experience and financial background to ensure the company upholds its strong financial position and reputation as the brokerage of choice in Southern California. Serving as General Counsel for Berkshire Hathaway HomeServices California Properties, Martha Mosier specializes in administrative and transactional real estate regulations and law. Jon Clark heads up Pickford Escrow/The Escrow Firm and oversees California Title, HomeServices Lending and HomeServices Insurance as part of his Berkshire Hathaway HomeServices California Properties Executive Committee responsibilities. Mr. Clark has been with the company for more than 14 years and has worked in all of the customer-facing divisions including brokerage and relocation. Ron brings four decades of experience in commercial and residential real estate to Berkshire Hathaway HomeServices California Properties. He served tirelessly for many years as our Carlsbad branch manager, and took on additional duties as one of our San Diego Regional Vice Presidents. He now is guiding our Commercial Division to new levels of growth, applying stability in a very fluid and agile environment. He is 100 percent dedicated to assisting all our commercial agents in putting together deals in all commercial categories. An agent since 2005, as well as a Relocation Specialist since 2010, David encompasses all of the traits necessary to lead our Relocation Department. Along with his dedication to fulfilling client needs, he excels in the art of negotiation. His education at the University of Oregon brings a well-versed knowledge of economics and finance. In all he does, David practices his belief that each client is as important as the next, and no one should ever feel as though they are not. He brings all of these attributes to our Relocation Department with pride and conveys this premier service standard at every possible moment. A specialist in high-end residential properties, Allison has more than 25 years of experience in Southern California real estate. She currently leads a large marketing team with an acclaimed record of facilitating transactions at all price points throughout the company's five-county region. Her goal is to provide our agents with programs and tools that will represent them and the Berkshire Hathaway HomeServices California Properties name in the best way possible. With 14 years of human resources experience, Kylie has worked to position the HR department as a value-add business partner in many categories, including nonprofits, manufacturing, social services, and marketing/entertainment. She is a San Diego native. Kathy King shares with John Closson the role of Vice President and Regional Manager for the Los Angeles Region. Together they manage the activities of Berkshire Hathaway Home Services California Properties from Santa Maria to Pasadena. In addition to this, she actively manages both the Encino and Calabasas offices. Kathy has been active in the real estate industry for over 35 years and remains passionate about sharing her experience and leadership with her agents and their clients. With over 20 years of experience in real estate brokerage, John brings a wealth of knowledge to his role as Manager of our Pacific Palisades office. He draws on his experience to guide our sales associates and their clients to wise, informed decisions. As Vice President overseeing our Los Angeles region, John supports our management team, making certain that our sales associates throughout the region have the finest tools and resources available to deliver a tremendous level of customer service. As a 24 year REALTOR® veteran, Wayne is committed to strong team building and creating office cultures that foster support, integrity, and development of professional, highly effective real estate professionals. He has worked for Berkshire Hathaway HomeServices California Properties, and its predecessor, since 2012. Wayne started his Real Estate career as a California REALTOR®. After several years as a top producing agent closing over 100 transactions per year, he decided to follow his passion into management. .Over his 17 years in management he has worked for both large national brands, mid-size regional and boutique independently owned brokerages. Wayne believes in giving back to our profession. Now more than ever, our industry needs leaders and agents who are active in the business to serve due to threats aimed at the industry at state and national levels. Wayne served as 2016 President of the 15,000-member Orange County Association of REALTORS® as well as President of the Laguna Beach Board of Realtors in both 2009 and 2007. "As a National and State director and board member, I am honored to represent our members in a leadership role as well as this expanded leadership role with Berkshire Hathaway HomeServices California Properties." Nicki Marcellino, Branch Manager of the La Jolla office and Regional Vice President for Berkshire Hathaway HomeServices, San Diego, has an extensive background in real estate. Receiving the Rookie of the Year award her first year in the business as an agent and thereafter ranking in the top 1-5% of the companies she worked for, Marcellino has proven herself time and time again. Nicki made a contribution with this expertise by mentoring new agents as a top producing agent – teaching, training and guiding them through transactions. Mentoring and coaching people continued to ignite her desire for growth and her passion to help others. After reading countless coaching books, she enrolled in The Coaches Training Institute, a world-wide coaching organization, and completed over 200 hours of coaching training with this company which was only of five nationally accredited companies in the U.S. She then proceeded to take a 4 week on site leadership program through the same company and assisted the leaders the following year in another 4 week course. She has also served her previous community in Los Angeles by participating in two PBS educational series on business sales, by offering her insight on local real estate market conditions as a periodic guest on the Los Angeles Channel 9 news broadcast. When her husband, Jocko and her moved to San Diego they chaired the local public high school fund-raiser for three consecutive years, raising over a quarter of a million dollars. As the La Jolla offices Branch Manager, Marcellino is responsible for recruiting, increasing productivity, problem solving and retention of productive agents. She is also responsible for creating a vision for one of the top offices in the country, with resulted in the subsequent ranking #1 in the US for 10 out of 16 years and never less than the Top 4 Nationwide. 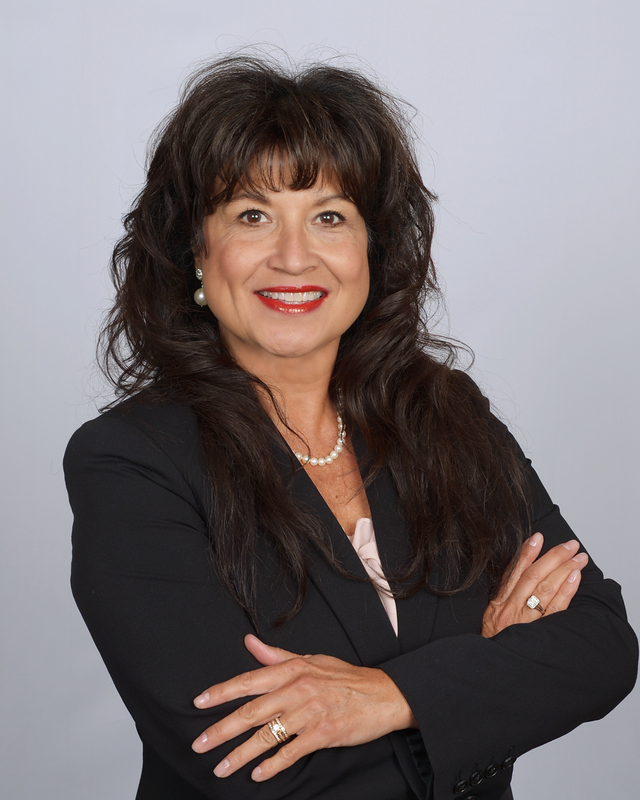 Marcellino thrives on seeing people grow and helping them do so and her national ranking and continue #1 office status in San Diego for over 17 years, is only proof of her expertise and commitment. Nicki's goal is to create a culture where people can look back 10-20 years from now and say, "That was the most wonderful place I could have ever worked. I truly made a contribution." Having worked with some of the most successful agents and companies, her experience compelled her to want to work with Berkshire Hathaway HomeServices. The reason was soon evident when she found the company's values aligned with her beliefs and were centered on the agents and customers. She respects and is inspired by the vision and morale of the company and its extraordinary leaders and finds it crucial to her well-being and success. When asked for words of wisdom to aspiring professionals in the industry, Marcellino says, "Create your success around your values and vision, and commit to working passionately and consistently." San Diego native Nelson White brings over 28 years of real estate leadership and experience to his current position with Berkshire Hathaway Home Services California Properties. His leadership roles include being a top-producing branch manager, agent recruiter and general manager. He specializes in, teaching, training and mentoring, contract negotiation, business strategies and marketing creation. Nelson partners with his agents and branch managers to increase their productivity and professional achievements. He works one on one, mentoring and training new agents, to maximize their potential and ensure their confidence and success. He also works side by side with experienced agents to support their growth with Berkshire Hathaway.